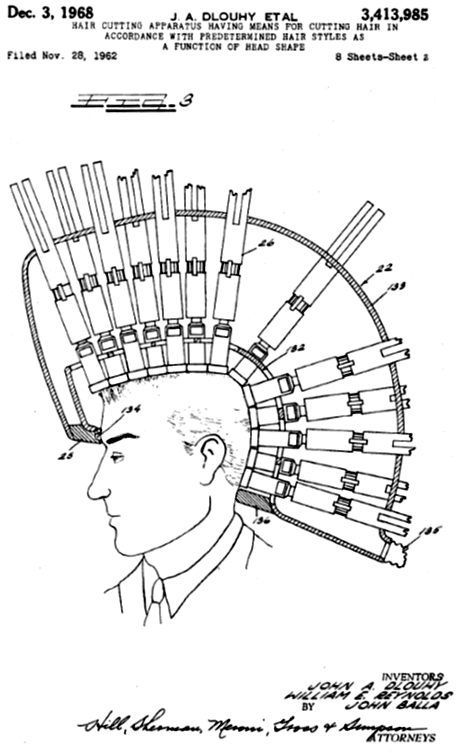 Therapeutic or surgical methods Archives - Patent my French! Dosage regimen inventions are one of those subjects wherein French law tends to be unique in the European patent law landscape. By way of a reminder, patent eligibility of claims directed to dosage regimen inventions was denied in a number of court decisions. In the finasteride litigation, the Paris Cour d’appel finally seemed to align with the principles set out in decision G2/08 of the EPO’s Enlarged Board of Appeal, as it acknowledged that posology features are allowed in further medical use claims. See a summary in a previous post here. However, first instance judges did not seem willing to follow this case law, as shown by two further decisions from the Paris tribunal de grande instance (TGI) reported on at the beginning of this other post. In December 2017, the Cour de cassation issued its ruling on the finasteride case. The main topic of the decision however is sufficiency of disclosure, as explained in this post. Some have argued that this decision from the supreme court implicitly “acknowledged the patentability of dosage regime claims“. I tend to disagree, as it seems to me that this was simply not decided upon by the cassation judges. A few months later, we now have a clear confirmation that the issue of patent eligibility of dosage regimen inventions is absolutely not settled. 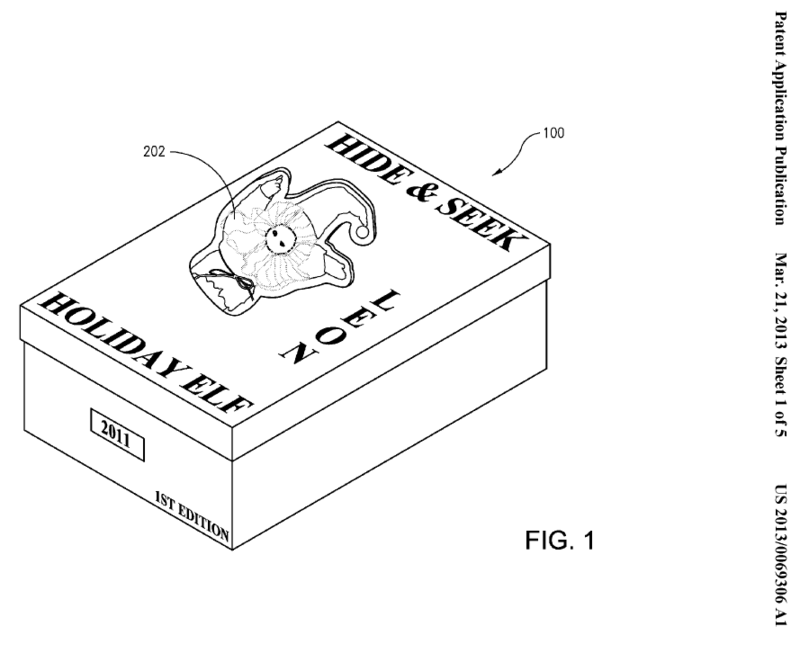 The case at hand relates to European patent No. EP 1448207 owned by Hungarian company Richter Gedeon Vegyeszeti Gyar RT (Richter) and licensed to French company Laboratoire HRA Pharma (HRA). In June 2013, the generic drug manufacturer Mylan initiated nullity proceedings in front of the Paris TGI. Mylan launched a generic drug in early 2014. Richter tried to get a preliminary injunction against Mylan, which was denied in June 2014. The French part of the European patent was voluntarily limited in front of the Institut National de la Propriété Industrielle in October 2014, by turning product claim 1 into an EPC 2000-type therapeutic use claim; and by merging Swiss-type claims 2 and 3 together. On June 9, 2015, the TGI handed down its decision on the merits, revoking the patent. Richter and HRA appealed. On March 2, 2018, the Cour d’appel confirmed the first instance decision. The drug at stake in this lawsuit is levonorgestrel, a hormonal substance used as an emergency birth control medicine. Pharmaceutical composition as single application dose, containing 1.5 ± 0.2 mg of levonorgestrel as active ingredient in admixture with known excipients, diluents, flavoring or aromatising agents, stabilizers, as well as formulation-promoting or formulation-providing additives, commonly used in the pharmaceutical practice, for use in emergency contraception by administering a single application dose up to 72 hours after the coitus. Use of 1.5 ± 0.2 mg levonorgestrel for the preparation of a pharmaceutical for emergency contraception by administration of a single application dose up to 72 hours after the coitus. At the priority date of the patent, levonorgestrel was already widely known and used for emergency contraception. It was administered in two doses of 0.75 mg each. The invention thus consisted in replacing these two doses by a single dose of 1.5 mg. Dosage regimen patents in France are like a game of Hide & Seek. The invention neither modifies the sought contraceptive purpose, nor the used substance (levonorgestrel), nor the total dose of 1.5 mg, nor the administration of the product within 72 hours of non-protected coitus. Indeed, it is not challenged that taking two doses of 0.75 mg levonorgestrel is tantamount to one dose of 1.5 mg levonorgestrel, as the additives are not the subject-matter of the invention and anyway are identical for Noverlo 1.5 mg and for Noverlo 0.75 mg. Besides, the description of the patent does not contend that the invention makes it possible to obtain better results to avoid pregnancies, or to reduce side effects, but that its purpose is to solve the problem of the difficulty for patients to comply with the taking of the second dose within a period of twelve hours from the first one, while achieving at least the same results without additional side effects. Thus, and insofar as the sole contribution of the ‘207 patent consists in taking the product which is identical in its substance, in its total dosage and for the same indication, in one take instead of two without any novel technical contribution or benefit other than the comfort of a single take, the first instance court rightly held that the invention is not patentable under article 53(c) of the European patent convention. There you have it, dosage regimen inventions can still be held non-patentable as relating to mere methods of treatment. This applied similarly to purpose-limited composition claim 1 and to Swiss-type claim 2. This is not surprising as French courts do not typically attach importance to the exact manner in which claims are drafted. They focus on what the invention really is about. As a further comment, we should never read too much in any given court decision. In particular, I do not believe the present decision to be a complete reversal relative to MSD v. Actavis. In the present ruling, the court insisted on the fact that there was absolutely no technical contribution, in their opinion: same total dosage, no reduction in side effects, no efficacy improvement. In a different context, with a new dosage providing for instance improved efficacy or fewer side effects, the court might have come to a different conclusion, based on the existence of an actual technical contribution to the art. As if one deadly wound were not enough, the court inflicted two additional ones to the patent, in a clear effort to make Richter’s way to a cassation appeal as difficult as possible. The court thus held that the claims of EP’207 lacked novelty over clinical trials on the 1.5 mg dosage which were publicly reported on by the World Health Organization before the priority date. And the court finally held that the claims lacked inventive step, also in view of the clinical trial reports. As a final remark, it is somewhat paradoxical that the patent was revoked as relating to a method of treatment, whereas a method of contraception is in principle not considered at least by the EPO as a method of treatment – as pregnancy is not a disease. See example 3 in section G-VI, 7.1.2 of the Guidelines for examination. I do not know whether the argument was raised during litigation or not. That said, if one adopts this approach, it then means that perhaps the EPO should not have granted claim 2 of the patent at least in this specific form, as the exceptional Swiss-type claim drafting format is not applicable to non-medical uses (so that the claim would or should have been found to lack novelty). CASE REFERENCE: Cour d’appel de Paris, pôle 5 chambre 2, March 2, 2018, Richter Gedeon Vegyeszetu Gyar RT & SAS Laboratoire HRA Pharma v. SAS Mylan, RG No. 15/16651. It is often tempting to rule out of hand seemingly makeshift arguments but the decision we discuss today is a reminder of why it is always a bad idea to do so. It is also yet another reminder that it is not easy to be Swiss in France nowadays. The decision in question was rendered by the Cour d’appel de Paris on November 3, 2015 (Ethypharm SA v. Alkermes Pharma Ireland Ltd.). It notably dealt with the appeal of Ethypharm against the decision of the Tribunal de Grande Instance (TGI) de Paris of December 21, 2012 to uphold claim 9 of European patent EP 0644755 (the ‘755 patent), which Ethypharm was found to infringe. The use of particles consisting essentially of a drug substance having a surface modifier adsorbed on the surface thereon in an amount sufficient to maintain an average particle size of less than 400 nm or a pharmaceutical composition thereof for the preparation of a medicament for hastening the onset of action after administration to a mammal, with the proviso that the drug substance is other than naproxen or indomethacin. It can be seen that the scope of the claim is rather extensive as it basically covers any process of manufacture of a medicament with particles of a drug substance (different from naproxen or indomethacin) having an average size of less than 400 nm, thanks to the use of a surface modifier which adsorbs onto the drug substance, for increasing the speed with which the substance will exert its activity upon administration. While all the arguments set forth against the validity of the claim had failed in the first instance, in the course of the second instance Ethypharm found a new motive to be opposed to the validity of claim 9, namely that the claim would cover a method of treatment of the human or animal body and that it would be therefore excluded from patentability. According to Ethypharm, this would be because claim 9 does not relate to a specified substance or composition but relates to all existing active substances without specifying their therapeutic use, since it covers the use of nanoparticles of any medicament for treating any disease, any patient, by any administration route and with any dosage. The patentee, Alkermes, made the mistake of not offering any counter argumentation. To conclude, we will say a word on the argument of “revocation of claim 9 because it relates to a method of treatment” a last resort makeshift which replaced the equally exotic argument of “nullity of the further medical use claim”. However, nothing of the sort could be found by the Court in the rest of these written submissions. […] As a consequence the claim will be revoked […]. The Court thus considered that although it was in the form of a Swiss-type claim, the fact that neither (i) the drug substance nor (ii) the therapeutic use were specified meant that claim 9 was to be considered as covering a method of treatment. However, with this reasoning it appears that the Court merely assimilates Swiss-type claims to further medical use claims according to Article 54(5) EPC 2000, thereby casting aside the literal sense of Swiss-type claims, which is to cover a process for the manufacture of a medicament. As a reminder, in decision G 5/83, the Enlarged Board of Appeal of the EPO ruled that it is legitimate in principle to allow claims directed to the use of a substance or composition for the manufacture of a medicament for a specified new and inventive therapeutic application, even in a case in which the process of manufacture as such does not differ from known processes using the same active ingredient. 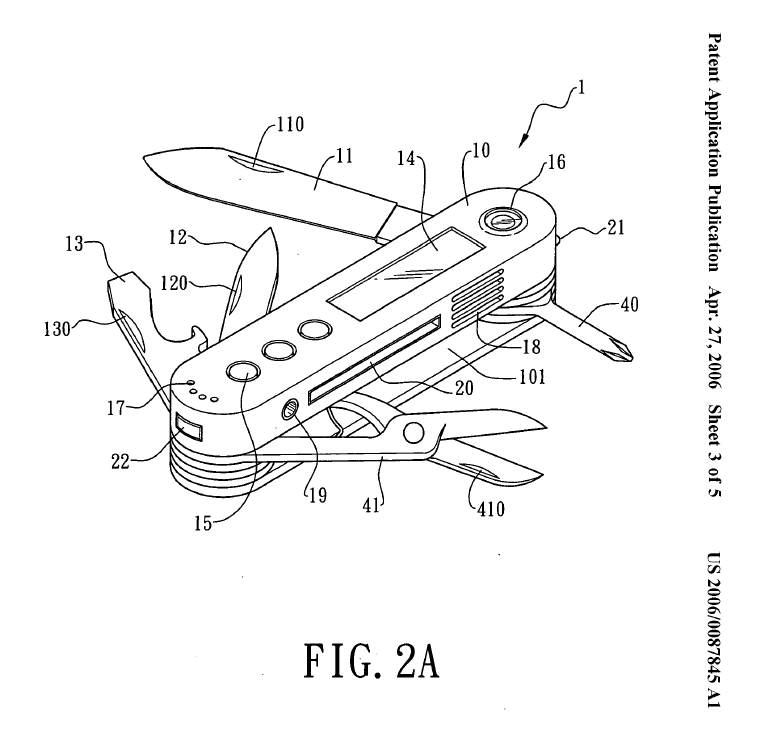 Should Swiss army knives also be considered as excluded from patentability? Accordingly, the sanction for a Swiss-type claim which is found not to benefit from the special approach of novelty defined in decision G 5/83, for instance because the claim does not relate to a specified therapeutic application, should rather be to consider that the intended therapeutic use is not limiting. This approach is notably illustrated by decision T 1758/07 (see paragraph 3.4.3). Applied to the present case, the finding of the Court according to which the hastening of the onset of the action of the medicament cannot be considered as a therapeutic use could thus have led to reformulating claim 9 as the use of particles consisting essentially of a drug substance having a surface modifier adsorbed on the surface thereon in an amount sufficient to maintain an average particle size of less than 400 nm or a pharmaceutical composition thereof for the preparation of a medicament suitable for hastening the onset of action after administration to a mammal, with the proviso that the drug substance is other than naproxen or indomethacin. Incidentally, this would also have had the valuable advantage of doing without the rather confusing notion that a claim found not to relate to a therapeutic use could be considered at the same time to cover a method of treatment. Thank you Lionel for this report. As already mentioned in last week’s post, the TGI and the Cour d’appel are quite strictly bound by the (written) submissions of the parties. So, not every surprising ruling can be blamed on the courts themselves. As a postscript I would also like to bring the first instance decision to readers’ attention. One issue that was discussed in this decision was the admissibility of the disclaimer “with the proviso that the drug substance is other than naproxen or indomethacin” in claim 9. This “undisclosed disclaimer” was introduced to distinguish the claimed invention from a prior art under Art.54(3) EPC. The TGI applied the test set out in decisions G 1/03 and G 2/03 of the Enlarged Board of Appeal (without quoting those) and held that the disclaimer passed the test and was allowable. This issue is not addressed again in the appeal ruling since the claim was found invalid on another ground. I thought that some readers irritated by the marked deviation of French case law from EPO case law on the topic of patent eligibility might find solace in this remarkable illustration of consistency. CASE REFERENCE: Cour d’appel de Paris, pôle 5, 1ère chambre, November 3, 2015, Ethypharm SA v. Alkermes Pharma Ireland Ltd., RG No. 2012/23743. A remedy worse than the disease? Before leaving the floor to Lionel Vial for the second part of his thorough report on the recent Merck v. Actavis appeal decision (the first part is here), I would like to follow up on the issue of patent eligibility of dosage regimen inventions in France. TGI Paris, 3ème chambre, 3ème section, December 5, 2014, Akzo Nobel NV et al. v. Teva Santé SAS et al., RG No. 12/13507. TGI Paris, 3ème chambre, 3ème section, June 19, 2015, Mylan SAS v. Richter Gedon Vegyeszeti Cyar RT et al., RG No. 13/08566. The Akzo decision was issued before the Merck v. Actavis appeal ruling went out but this is not the case for the Mylan decision. In this second decision, the written proceedings were formally closed on February 10, 2015 and the hearing took place on March 9, 2015. This is later than the January 30, 2015 Merck v. Actavis appeal ruling, but not much later. It is possible that neither the parties nor the first instance judges were aware of the outcome of the Merck v. Actavis appeal in due time, which could be the reason why the position taken by the first instance court is not in line with that of the appeal judges. The other posible explanation is that the Tribunal de grande instance de Paris might not be in a mood for applying Merck v. Actavis. Such an attitude would not be unheard of – it even has a name in the French legal system, “resistance” of the lower courts. We will thus have to wait for further cases to know for sure. Now, back to Lionel, on a different aspect of Merck v. Actavis. We have seen in our previous post that the Cour d’appel de Paris, in its decision of January 30, 2015 (Merck Sharp & Dohme v. Actavis Group & Alfred E. Tiefenbacher) affirmed that posology features were admissible in further medical use claims. Still, in view of the lack of novelty finding of the Court regarding claims 1 to 3 of European patent No. EP 0724444 (the ‘444 patent) filed on October 11, 1994 in the name of Merck & Co, the decision as a whole does not make it much easier for patentees to defend such claims in France. The use of 17β (N-tert-butylcarbamoy-l)-4-aza-5-alpha-androst-1-ene-3-one [i.e. finasteride] for the preparation of a medicament for oral administration useful for the treatment of androgenic alopecia in a person and wherein the dosage amount is about 0.05 to 1.0 mg. The Court based its decision regarding novelty on two documents. The first document was European patent No. EP 0285382 (the ‘382 patent) filed on March 30, 1988 in the name of Merck & Co. Inc. According to the Court, the ‘382 patent discloses the use of finasteride for treating androgenic alopecia, as well as, in the case of benign prostatic hypertrophia, oral administration of finasteride and the administration of a dose of finasteride from 5 to 2000, preferably from 5 to 200 mg and in particular of 5, 10, 25 50, 100, 150, 250 and 500 mg. However, the ‘382 patent does not specify the dose claimed in the ‘444 patent. The second document, the so-called “document S”, is an article by Elizabeth Stoner (one of the inventors of the ‘444 patent): The clinical development of a 5 alpha-reductase inhibitor, finasteride (1990), J. Steroid Biochem. Mol. Biol. 37:375-8. According to the Court this article discloses the use of finasteride for the preparation of a medicament for oral administration useful for the treatment of androgenic alopecia, wherein the dose of the active principle finasteride may vary from 0.04 to 1 mg. It is important to note that the Court did not mention that alopecia treatment by finasteride at this dosage was disclosed in this document. A close reading of the article indeed confirms that it is not the case. With this document S, all the teachings of the Merck patent [i.e. the ‘444 patent] are already disclosed while this patent does not additionally comprise a specific, different technical teaching, from that of the EP 0285382 prior art, so that claim 1 of the EP 0724444 patent is deprived of novelty. Claim 2: The use as claimed in claim 1 wherein the dosage is 1.0 mg. This claim thus also lacks novelty, since the S document discloses this dosage in combination with claim 1 which is devoid of any novel technical effect. Claim 3. The use as claimed in claim 1 or 2 wherein the treatment is of male pattern baldness. The document EP 0285382 also relates to male pattern baldness and destroys the novelty of this claim combined with the two other revoked claims. First, we believe that each of the two documents leads to an independent lack of novelty finding regarding claim 1 by the Court. Thus, when considering document S, the Court apparently construed the term “useful for” of claim 1 as simply meaning “suitable for” (in the sense of the Guidelines for Examination in the EPO, section F-IV, 4.13). Accordingly, the simple fact that document S discloses a medicament which could be used in the treatment of alopecia with the dosage specified in claim 1 is considered novelty destroying by the Court, even if this potential use is not mentioned in the document. In doing so, the Court did not apply decisions G 1/83, G 5/83 and G 6/83 of the Enlarged Board of Appeal (EBA) of the EPO which allowed Swiss-type claims (e.g. the use of compound X for the manufacture of a medicament for the treatment of disease Y) in the EPO’s practice. As a reminder, according to these decisions, it is justifiable to derive the novelty of the preparation of the medicament from a new therapeutic use of said medicament. In other words, the Court did not consider that the Swiss-type claim 1 of the ‘444 patent could be considered as a further medical use claim. As the Court did not elaborate on its construction of claim 1 in view of document S, it can only be speculated that the Court would have decided differently if the claim had stuck to the phrasing of the Swiss-type claim devised by the EBA, i.e. the use of finasteride for the preparation of a medicament for oral administration useful for the treatment of androgenic alopecia in a person and wherein the dosage amount is about 0.05 to 1.0 mg.
As then regards the lack of novelty finding based on the ‘382 patent, the decisive point in the ratio decidendi of the Court appears to be the lack of “different technical teaching” associated to the posology feature. Therefore, it is important to stress that, beyond the legal fiction of Article 54(5) EPC, for the assessment of novelty and inventive step of a claim in which the only novel feature would be the dosage regime, the whole body of jurisprudence relating to the assessment of novelty and inventive step generally also applies. In particular, the claimed definition of the dosage regime must therefore not only be verbally different from what was described in the state of the art but also reflect a different technical teaching. Furthermore, assuming for the sake of argument that the claimed modalities of the dosage regime would only consist in a mere selection within the teaching of a broader prior disclosure in the state of the art, then novelty could only be acknowledged if the criteria developed in the jurisprudence of the boards of appeal with respect to selection inventions would be fulfilled. One typical issue in such kinds of cases is whether the dosage regime defined in the claim has been shown to provide a particular technical effect as compared with what was known in the state of the art. In the present case, the Court did not state whether it considered that the subject-matter of claim 1 ought to be treated as a selection invention, but nonetheless applied a high standard regarding this novelty requirement, by equating it with a requirement of a showing of a different technical effect over the prior art, which goes beyond what is usually required for a selection invention, or even for inventive step assessment, before the EPO. 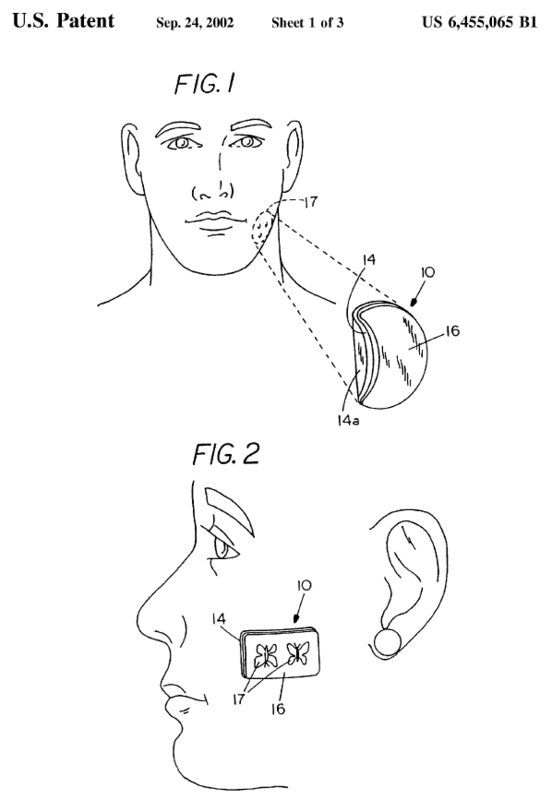 Claim 1 of the Merck patent [i.e. the ‘444 patent] recites a dose from about 0.05 to 1.0 mg and this patent specifies, as mentioned above, that ‘it would be desirable to administer the lowest dosage possible of a pharmaceutical compound to a patient and still maintain therapeutic efficacy’. However, this patent does not indicate that the retained dosages could yield a different result from that obtained with the different dosages specified by the prior patent. The assays reported in the text of the patent indicate that the dosage of 0.2 and 1 mg/day during 6 weeks is ‘useful for the treatment of alopecia’ but nothing indicates that the technical results are different from those yielded by the prior patent. It is not demonstrated that the claimed dosage has an effect on the efficacy or the outcome of the treatment. It is neither demonstrated that the dosage claimed in the Merck patent leads to potential side effects different from those yielded by the dosages of the prior art. In any case, regardless of whether the standard applied by the Court should be one of novelty or inventive step, it is likely that, in the present case, the report, by one of the cited experts, that the side effects of finasteride were similar for a dosage of 5 mg or 1 mg convinced the Court that the claimed invention did not deserve a patent. Accordingly, while this decision establishes that posology features may well be admissible in further medical use claims in France, patentees should still expect a hard time defending them, especially when the claims are of the Swiss type. Many thanks Lionel, and happy holidays to all – and this includes pharma innovators and generic drug manufacturers alike! CASE REFERENCE: Cour d’appel de Paris, pole 5, 2ème chambre, January 30, 2015, Merck Sharp & Dohme Corp. v. Actavis Group EHF et al., RG No. 10/19659. Posted on December 28, 2015 January 15, 2016 Categories French case law, New therapeutic use, Novelty, Patent eligibility, Therapeutic or surgical methods, Validity2 Comments on A remedy worse than the disease? Today I am very happy that this blog is hosting a guest post from Lionel Vial. I am sure Lionel would agree that he is a little bit of a “drug addict“. Yes, to avoid any misunderstanding, this is short for “pharma patent addict“. So, here is what Lionel has to say about recent French case law developments regarding the patentability of dosage regimen inventions in our country. The local position regarding the admissibility of posology features in further medical use claims has been the subject of a long lasting controversy which ended this year. A French judge though is not one to be impressed by a 44-page long decision from the EPO, and even the EBA, as is evidenced by the decision of the Paris Tribunal de Grande Instance (TGI) of September 28, 2010 (Actavis Group & Alfred E. Tiefenbacher v. Merck Sharp & Dohme). This case notably dealt with an invalidity action brought against claims 1, 2 and 3 of European patent No.0724444 (the ‘444 patent) in the name of Merck & Co. filed on October 11, 1994 and granted on August 6, 1997, for an alleged lack of industrial application, lack of novelty and lack of inventive step. The use of 17β (N-tert-butylcarbamoy-l)-4-aza-5-alpha-androst-1-ene-3-one for the preparation of a medicament for oral administration useful for the treatment of androgenic alopecia in a person and wherein the dosage amount is about 0.05 to 1.0 mg.
All specialists will have noted that being granted before the entry into force of Article 54(5) EPC 2000, the claim is under the so-called Swiss format. Besides, it recites a posology (i.e. dosage regime) feature, namely that the dosage amount is about 0.05 to 1.0 mg (underlined above). At the priority date of the ‘444 patent, finasteride, the short name of 17β (N-tert-butylcarbamoy-l)-4-aza-5-alpha-androst-1-ene-3-one, was known to be an inhibitor of 5-alpha-reductase, the enzyme catalyzing the transformation of testosterone into the more potent androgen dihydrotestosterone (DHT). DHT is involved in several androgen-related disorders, such as mild-to-moderate benign prostatic hyperplasia and androgenic alopecia, i.e. baldness. Finasteride was for instance known to be useful for treating alopecia through the reduction of DHT levels, as shown by European patent No.0285382 (the ‘382 patent) filed on March 30, 1988 in the name of Merck & Co. Inc. 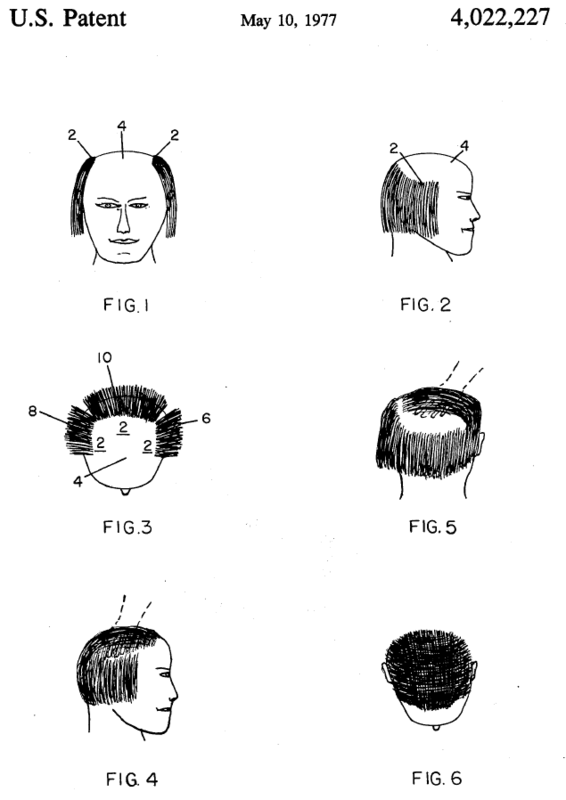 The invention forming the subject-matter of the ‘444 patent was thus said to arise from the surprising and unexpected discovery that a low daily dosage of finasteride is particularly useful in the treatment of androgenic alopecia. [As a consequence,] it is possible to patent a medicament with the view of treating a first disease and then a second but it is not possible to patent a posology adapted for treating these diseases as it would be an attempt at patenting a method of treatment by therapy, which is not allowed, as such a method is reserved to the field of care and depends from the sole liberty, and associated responsibility, of each physician. Claim 1 of patent EP 0724444, of which the only novel feature over the prior art is the specified posology is thus excluded from patentability and must therefore be revoked in view of article 53c EPC 2000. [Furthermore] Article 54(4) EPC which allows patenting a same medicament for a further therapeutic effect is completely silent on the allowability of patenting a particular posology. Accordingly, the answer of the Enlarged Board according to which “such patenting is also not excluded where a dosage regime is the only feature claimed which is not comprised in the state of the art” does not arise from the Convention but from an interpretation of what is a posology, i.e. a further medical use, which it is obviously not. Apart from the slight errors in applying EPC 2000 rather than EPC 1973 and referring to Article 54(4) instead of 54(5) EPC, it can be retained that the first instance court essentially considered that establishing a posology is part of the exclusive practice of physicians and that it can therefore not be patented. This decision was immediately applied by the French patent office (INPI), which included in its Guidelines for Examination a provision according to which a claim relating to a posology should be rejected. An appeal was lodged against the decision of the TGI which led to a decision of the Cour d’appel de Paris of January 30, 2015. The situation has thus been clarified in France regarding the admissibility of posology features in further medical use claims: such features are allowed – at least for European patents, that is. Indeed, the situation remains unclear regarding French patents, as the decision only addresses the EPC and because, to date, the INPI has not changed its Guidelines for Examination. Still, the Court confirmed the first instance judgement by revoking claims 1 to 3. This time the revocation was pronounced on the ground of lack of novelty. The Court considered that the ‘444 patent did not comprise a different technical teaching from that of the ‘382 patent, even though the latter does not disclose the dosage amount claimed by the ‘444 patent. This is what we will look at in a next post. Many thanks Lionel for this report, and looking forward to the second part of the story – especially because baldness is a serious thing indeed, not to be joked about as I very well know!